Match day 3 of this season G4S trophy saw Greasbrough face Thornhill during half time of the Rotherham United Vs Burnley game at the AESSeal New York Stadium, this game was different to usual as it was played under the floodlights on a Friday night, in front of the Sky TV cameras something not many young footballers will ever experience. The match was also different as the teams didn’t play in the traditional school football kits but instead donned yellow and black Kick Racism out of Football t-shirts as we had chosen this fixture as our annual support game for this initiative. The match got underway in front of a crowd of just under 10,000 people and it was clear to see from the start that both teams had come to attack but both defences were in fine form and all the opening attacks were dealt with comfortably. It was clearly going to take something special to break down either teams defence and in the 3rd minute Greasbrough’s Charlie cook provided this moment when he picked the ball up just inside his own half, beat the Thornhill midfielder and fired a fantastic strike which was past the goalkeeper before he could even move and flew into the top corner. This still didn’t force Thornhill into changing their tactics and they continued to push forward in search of an equaliser and they probably would have found this if it wasn’t for a great performance by the Greasbrough goalkeeper and his defence, they stuck to their task and kept the ball out, the onetime Thornhill managed to break through this barrier they found the cross bar in their way and it felt like it just wasn’t going to be their night. 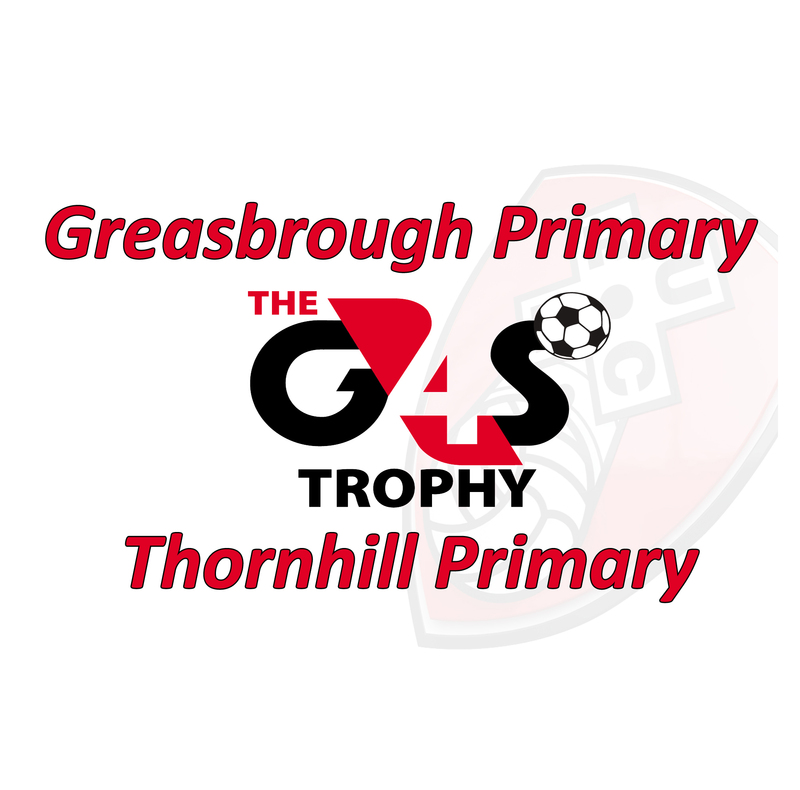 Greasbrough also had chances to extend their lead but were unable to take these but luckily for them Thornhill couldn’t find an equaliser and Greasbrough progress to the next round with a narrow 1-0 win.